Alen Paralda Air Purifiers with HEPA style Silver-Ion filtration technology to remove airborne allergens and protect filter against growth of harmful bacteria and microbes. For rooms up to 500 sq. ft. Lifetime Warranty. 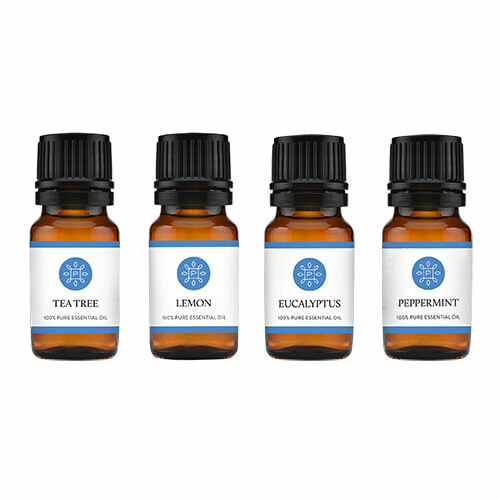 See our expert ratings & reviews and customer reviews. 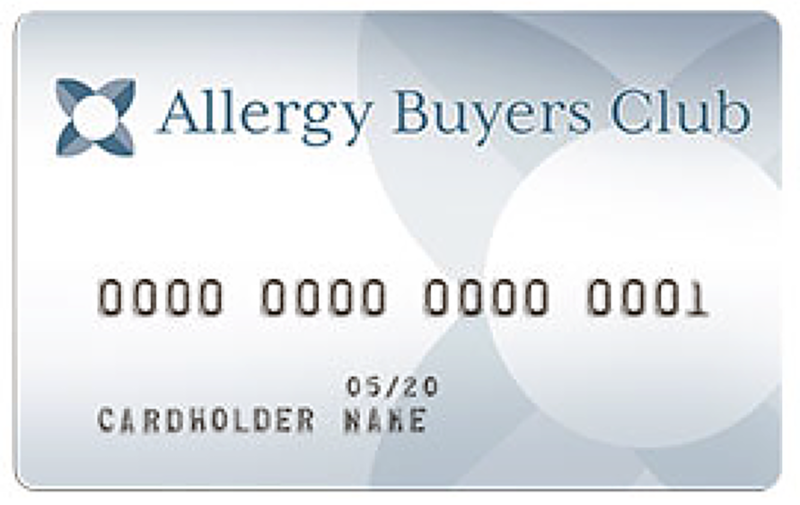 Includes HEPA-Silver Filter (HEPA style material woven w/ Silver-Ion threads) and Ionizer. Covers up to 500 sq. ft. The Alen Paralda Air Purifier combines an intelligent, award-winning design with advance filtration technology to efficiently remove airborne particles including dust, pollen, pet dander and mold spores from your living space. 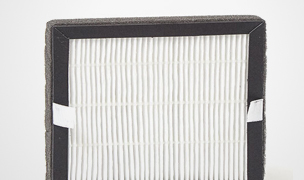 The Paralda comes standard with Alen's HEPA-Silver Filter which uses HEPA style material to capture airborne pollutants as well as Silver-Ion threads woven into the filter material to protect the filter against bacteria and microbe growth. The Paralda's space-saving tower design fits nicely in any room, complements most decor and quietly cleans the air in an area up to 500 sq. 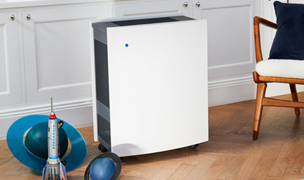 ft.
See all of our available Alen Air Purifiers. 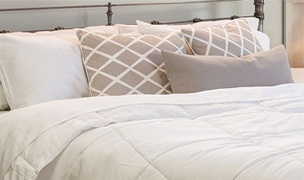 Wants to remove airborne allergens from a bedroom or living area. 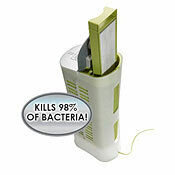 Wants an air purifier which resists bacteria or microbe growth on the filter. Does not have a lot of extra floor space in their room. Needs a low energy consumption air purifier to keep the electricity bill low. 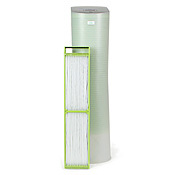 Polluted air moves through Alen’s unique, electrostatically charged HEPA style filter material that attracts and captures dust, pollen, pet dander, mold spores and other airborne pollutants. 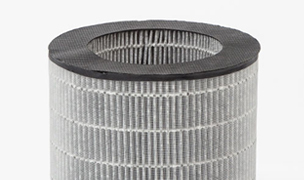 Alen’s anti-microbial Siver-Ion threads are woven into the HEPA style filter material, protecting the filter from harmful bacteria and microbe growth. Test results for the Silver-Ion technology demonstrate a 99.99% kill rate on E.Coli and Staph Bacteria. The Paralda’s ozone-safe Ionizer complements the HEPA style filter by charging particles in the air, causing them to stick together and become more easily captured. Alen's Ionizer is certified by the California Air Resources Board (CARB) to produce ozone emission concentrations less than 0.050 parts per million. Overtime the HEPA-Silver Filter becomes overloaded with particles, decreasing its filtration performance. Alen recommends replacing the filter every 6 month with normal use. 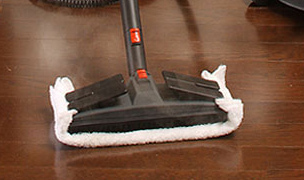 Washing or vacuuming the filter may damage the filter material and is not recommended. Wipe unit clean as needed with damp cloth. Do not use any harsh cleaners. 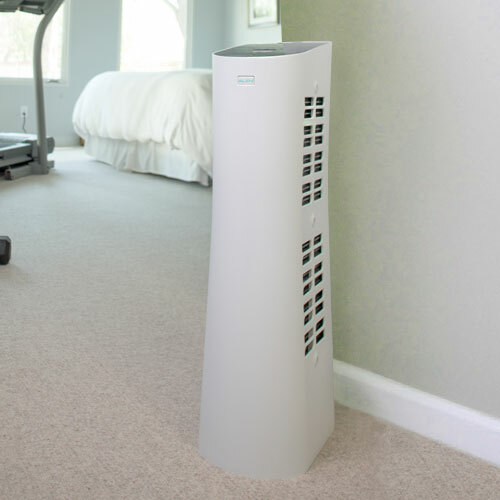 The Paralda entered the market as a 'green eco-friendly' air purifier but Alen has recently repositioned it with a focus on allergen removal with the added benefit of protecting the filter from bacteria and microbe growth using Silver-Ion technology in the filter. Research has shown the UV lamp in the Paralda is not very effective at killing bacteria and microbes trapped on the filter. For proven antimicrobial protection, the Paralda now comes with Alen's HEPA-Silver filter, tested to kill 99.99% of bacteria and microbes trapped on the filter. During our filtration test, we recorded an average particle reduction of 94% on the first air pass. We were very impressed by this level of particle filtration. After an hour of running the Parlada in a room around 148 sq. 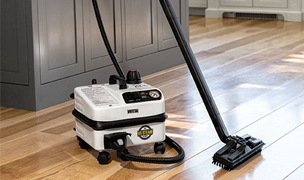 ft., achieving 6 air changes per hour, your indoor air is going to be pristine clean. Alen's Ionizer is certified as 'ozone-safe' by the CARB and when we tested it our ozone meter registered no detectable ozone. 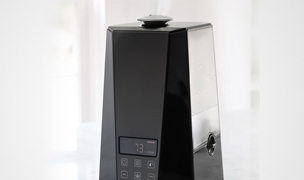 The Paralda does give the user the option to turn the Ionizer off if desired. Tower design is lightweight and makes it ideal for a small room or where extra floor space is minimal. 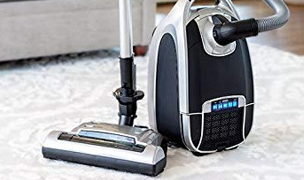 One-of-a-kind cord wrap system is the first we have seen and is ingenious as it eliminates excess cord lying around on the floor, which can look messy and be a tripping hazard. 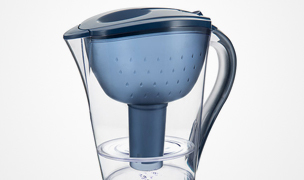 Extremely easy access to the filter for simple and fool-proof replacements. Indicator light will illuminate when it is time to replace the filter. Indicator is based on actual run time. Programmable timer allows you to set the Paralda to accommodate your schedule and air purification needs. 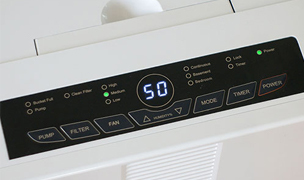 The timer offers 3 different run times each with a corresponding fan speed. Very low energy use of only 56 watts maximum. 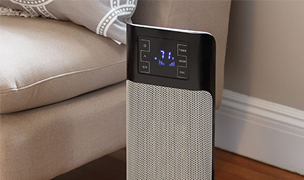 The Alen Paralda air purifier does not include a pre-filter to capture the larger particulates and therefore all particles are captured by the HEPA style filter reducing its useful life. Programing the Paralda's timer with the soft touch control pad can be tricky to figure out. We recommend referencing the manual for quick and easy programing. Speed 4 is not quiet and sounds like a box fan on medium speed. 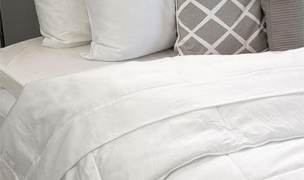 To achieve 6 air changers per hour, room coverage is limited to a room size of under 150 sq. ft. The HEPA-Silver Filter is not recommended for protecting against strong or heavy gas and chemical pollutants. Upgrade to the Paralda HEPA-OdorCell filter for smoke and heavy odor elimination. The Alen Paralda Air Purifier is primarily for those who are concerned with the removal of allergen and other airborne particles. 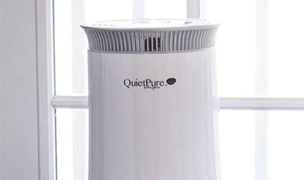 Its unique airflow design allows it to clean a room larger than a standard tower air purifier which is appealing to allergy sufferers who need to clean a medium-size room but do not want an air purifier that is big and bulky. Its price is a bit on the higher side, but is reasonable considering the Alen Paralda's design and features are a step above the common tower air purifier and is protected by a lifetime warranty. Replacement HEPA-Silver filter for the Alen Paralda Air Purifier. 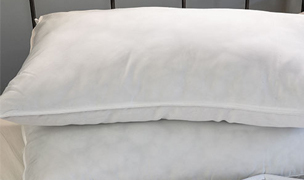 Includes HEPA style material woven with antimicrobial Silver-Ion threads. 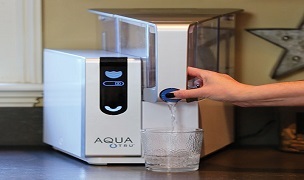 Proven to kill 99.99% of bacteria and microbes on the filter surface. Replace every 6 months. 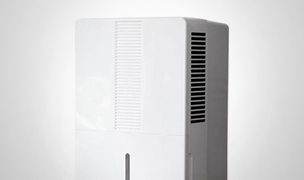 Particle and light odor control filter for the Alen Paralda Air Purifier. 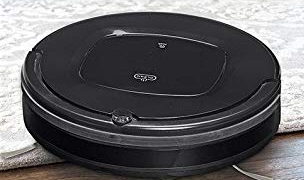 Includes HEPA style material and a layer of Activated Carbon. Replace every 6 months. 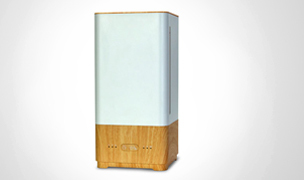 Smoke and odor filter for the Alen Paralda Air Purifier. 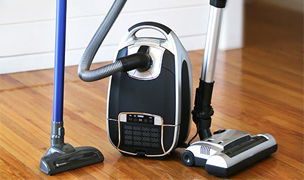 Includes HEPA style material and Alen's patented Molecular Conversion Powder (MCP) odor technology. Replace every 6 months. Includes 1 HEPA style particle filter for the Alen Paralda Air Purifier. Contains no carbon. Replace every 6 months.